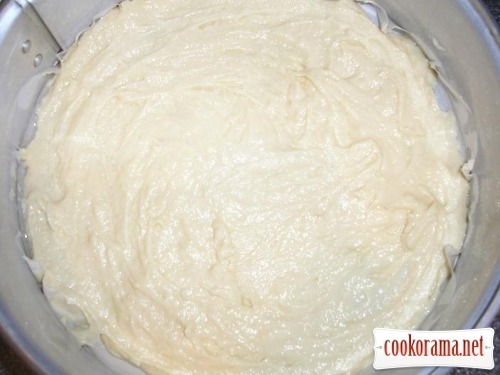 Melt butter and add the rest of ingredients for dough. The dough should be thicker than for pancakes. 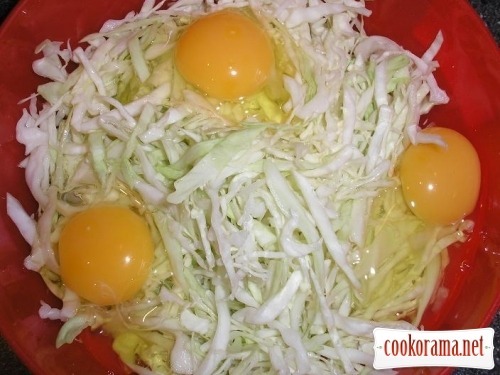 Chop cabbage, salt and pepper to taste. Add eggs. Chop sausage. Chop onion and basil. 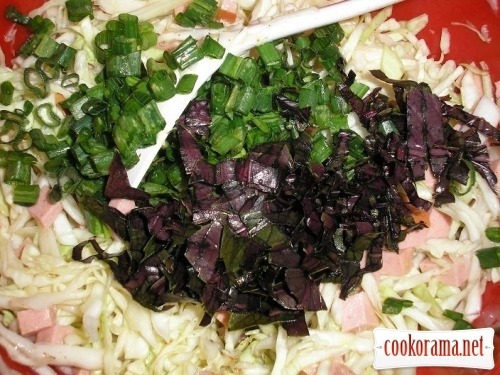 Add sausage and greens to cabbage. I took convertible form, and regreted – as dough poured out. 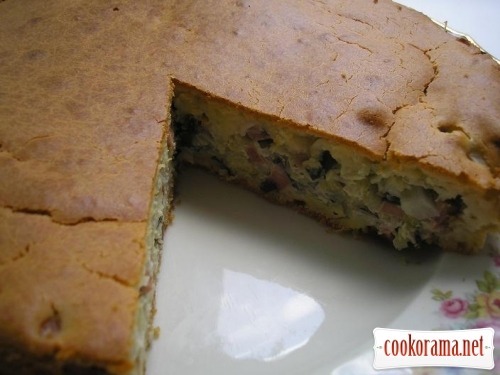 Grease form with butter, sprinkle with flour or breadcrumbs. Pour half of dough in form and spread on bottom. Put on top all the stuffing. Then pour rest of dough and spread over the stuffing. Bake at 180℃ C for 1 hour. 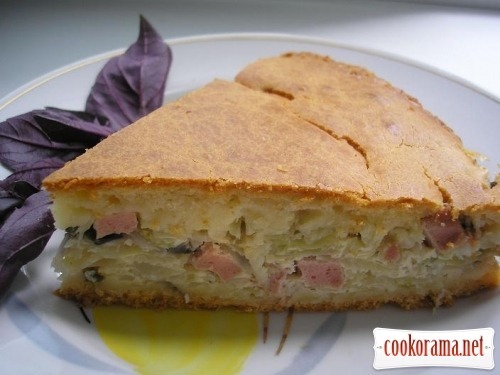 Top of recipe "Cabbage pie"